Comments: Did the Wonderama Comedy Club that was in the old Park Lane Theatre building close down. I drove by this afternoon and the signs were down and there were construction dumpsters outside. Yes, it was a very well-run and pleasant venue, but it's now gone. Comments: And thanks to you Erick. It was a lot of fun. Not often you get to stand in a studio and converse with Homer, Marge et al. Pretty surreal and hard not to bust up at first. But Castellaneta, Kavner, Shearer and the entire cast are great to work with, incredibly funny and true professionals. A little aside. After the first airing - a debate broke out on various Simpson's websites as to which "Springfield" was correct. Many assumed it was MASS as that's Scully's home town. For the re-runs, I went back into the studio to identify it as "Springfield...." (fill-in the state). Did more than a 1/2 dozen options for various markets. If memory serves me - I did one for AK. Happy New Year to all. It's been great re-connecting to Tulsa. Actually hosted a show for Winnercomm earlier in the year. Here are some comments about Jim's "The Simpsons" episode. It ranks number one in this fan's top twenty list. Location: My turn to "babysit" my wife & her party people. Comments: Mike - As far as I know it was called a "Yard" because it was a yard long. Anywho, they sent me down to KATV to relite their chroma key. It just didn't work right. I soon found out that even tho they had the same cams we did, they looked awful! I figured out the problem right away. While KTUL had fine engineers & this caring lighting-type director (yours truly), KATV had no lite guy. Hence there was no direction in lite & no cooperation between studio & the engine. It was a job I still feel bad about to this day. KTUL engineers would listen to me while KATV's wanted to know who the heck this "boy" is from Tulsa. I feel it is important to relay this to you all so that it is understood why cooperation between studio & engineering is so important. There should be an understanding of what "ID" or "look" the studio (station) puts out to the public. It is my belief that lack of this understanding is the main reason most local stations appear to come from the same place. Am I preaching to the choir? My relatives in the Little Rock market - back in the '70's-mid 90's dialed around - they liked a weatherman on 1 channel (Tom somebody) and news on another....They, too, disliked the red-haired sports guy on KATV who used to do the Frank Broyles Show (as Frank would say, "..ya see now, dontcha see..." a la Foghorn Leghorn)...Speaking of the revered Mr. Leghorn - Warner Bros. released a compendium of all the great Bugs Bunny et al cartoons before Xmas - about $69 for trhe DVD set IF you can find one. The Borders' here all bought like 1 copy per store - look for it at the TTM Amazon.com link. I am sure Mike Denney probably has one for Zeb Show flashbacks. Mike would cackle, giggle and laugh at cartoons that he had seen so many times. I think we all felt that way on the Warner cartoon library at 8. To Bro Hillis - I worked at 3 joints on Gates Stereo Yard boards (for TV sound and Radio use) but the other Gates board models I don't remember. Why the board was called a "Yard" I don't know. We had a Collins at KWGS for a while - I think it had come from KVOO TV. We had RCA boards also at 8 in Control A & B and yet another Gates in audio production in the early '70's. 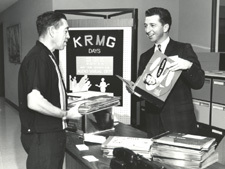 You will remember the George Jacobs-designed scratchbuilt audio boards at KOTV from our days there. Comments: I live in the central Arkansas area. I have only had the opportunity to watch KTUL only a couple of times when I visit northwest Arkansas. The Fayetteville cable company carries Channel 8 from Tulsa. KTUL's sister station in Little Rock, KATV, has been celebrating its 50th Anniversary. Friday, December 19 and Friday, December 26, two separate programs were shown. The December 19 program was an hour of vintage video clips and interviews from present and former KATV employees. There were some very vintage clips. The December 26 program was a "funny moments" and "bloopers" special. Gusty was drawn on KATV for many years in the seventies but the character was discontinued on the nightly newscasts in 1980 or 1981. I do not really know why. In the early 80s, KATV went through a serious turnover of weather personalities. One personality who had been the weekday weatherman became the weekend weatherman. This weather personality would draw Gusty on the weekends, but his weeknight replacement would not on the weeknights. Gusty made a return as a Saturday morning segment between a couple of the ABC network Saturday cartoons as an educational segment about a weather feature in the early nineties. I do not know if you find it interesting that KATV had by the late 70s the chroma key effect for the weather, but they did not use it to display the weather map behind the weatherman. One segment shown on the December 26 special, they showed then-weatherman Ron Sherman appear out of the blue in the middle of a sunrise photo. He walks over to another part of the photo and opens the drawing board out of thin air and starts drawing Gusty. The chroma key was used to put the weatherman in the middle of a remote cityscape shot or location behind the weatherman. When computer graphics started appearing in the newscasts by 1982 or 1983, the cityscape shots were reduced to a few seconds showing live shots from a remote camera or tape. Then, the computer graphics would appear in the background behind the weatherman. In the December 19 program, they showed the signing of KATV's ownership to Allbritton Television. I suspect that signing also transferred the ownership of KTUL as well. I have been looking for a localized version of the 1977 "Still the One" promo. On a night back in December 1979, KATV ran it at the end of the early evening newscast. I know that many ABC stations around the country had localized versions of the 1977 "Still the One" promo where the ABC logo was replaced with the affiliate's logo. I found the ABC network version of the promo on the Internet a few years ago, and I was trying to locate a localized version with the Circle 7 logo. It does not have to be from Little Rock since I know that several other Channel 7 ABC stations use or have used the Circle 7 logo. Have you come across KTUL's version of this promo package? Mike Bruchas sent me a tape awhile back with a "Still The One" promo or two; I'll try to get one out here shortly. Hope everyone has a safe and fun New Year's celebration tonight. Oh, I just remembered that TTM was 5 years old as of 12/29. Comments: I did not realize that the Jim Forbes we've been hearing from is the same Jim Forbes of Behind The Music fame! Of course, there's no doubting the great work he does on that show, but I think we would be doing him a great disservice if we didn't mention his work on Behind The Laughter, the Simpsons' version of Behind The Music. "The dream was over. Coming up: was the dream really over? Yes it was. Or was it? And Homer finds a new passion: dusting and polishing mixing boards. When "Behind the Laughter" continues." And, I set out to answer the New York Philharmonic announcer question before realizing that it was the Metropolitan Opera I was thinking about. Of course, it was Miiilton Cross who announced for Texaco well into the 1970's, and for many of those later years, the intermissions were filled by the Opera Quiz, featuring Tulsa's Tony Randall. But as for the Philharmonic, fuggedaboutit. Comments: Someone mentioned the morning shows being cut at 1430 The Buzz. 'Tis true. Mark Wedel, formerly of KRMG hosted the morning show for a few years. He and producer/host Kevin Thames were let go last week. Too bad. Hard to compete in the mornings. Ryan Rahal hasn't been on TV or radio for over a year now. When the "Morning Sports Cage" show left am1430 for The Sports Animal on am1550, he never went with it. Big Al now hosts it with former OU player Jimbo Elrod. Comments: Thanks to Si Hawk for the generous comments. Comments: Two comments on Mr. Morrow's quiz. I believe Russ Morgan used the phrase/logo "Music in the Morgan Manner" and "Man with the Horn" was Ray Anthony's theme song. Comments: Frank's quiz is tough! I do remember Carl Boye (sp?) was a newswriter at KVOO. He did a lot of his editing right on AP copy wire, marking out words here and there. Wild guess on Mack's Oiler baseball chief sponsor would be someone like Oklahoma Tire and Supply, but I'm probably wrong on that. Frank, do YOU know who anchored the first KVOO-TV (Ch-2) newscast in color? We were monitoring CBS network lines and they were feeding assorted VNR's on Mondays. The Amer. Council of Life Insurers ran a video news release today with former OK Gov. 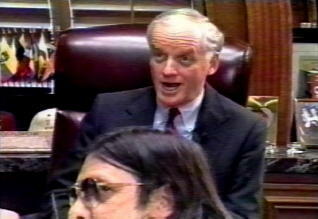 Frank Keating as one of their directors and as a spokesman. Thanks to Si Hawk for reminding me of some past adventures. Mother Adams was a carry over from my radio show.Her thing was "Mother Adams just called in..." with a corny joke or a dig at someone (usually Troy Gordon). We went on KOTV in drag and hosted old movies for awhile. The political thing was one of the worse moves I made. Thank goodness I didn't win, but I did beat some guy in the primary who went on some time later to become Mayor. More from Chuck farther down the page. Comments: The Tulsa World is running a five-part series by John Wooley on the early history of rock 'n' roll in Tulsa. It started yesterday. Topics include R & B DJ Frank Berry (mentioned here by Frank Morrow halfway into the linked page), the Casa Del Club (later known as the Golden Drumstick), and much more. Comments: Hope everyone at TTM and guests had a very Merry Christmas and a Happy Holiday! I'll be back in Texas for the New Years Eve celebrations! How and where will you all be celebrating? Have fun and be safe! On New Year's Eve, Lanna Thai is featuring Tommy Crook, then "Zombie Zoo" with my brother Alan on bass. Comments: What I remember about Magnecorders ("Maggies" to the initiated) was that they used engines from surplus P-38s for the rewind and fast forward motors. Trying to slow a reel with the palm of the hand would generally cost skin, and woe betide the poor soul that stuck a finger into the metal reels as the Maggie roared. Cinderella G. Stump was (I think) the nom de joke of Jo Stafford, when she sang with Red Ingle--was it The Natural Seven? The one I recall is her send-up of Perry Como's "Temptation" which, ended up sounding like "Tem-tay-shun" in her Arkied-up dialect, backed by Ingle's Spike Jones-ish arrangement. And the singer named after the dairy was The Singin' Rage, Miss Patti Sealtest. Comments: Gawd - haven't heard anyone talk of ET's in ages! No, not friendly little aliens! Remember what "actualties" and "sounders" were? I can't name the Magnecorder models any more or if its spelled Magna OR Magne corder...but I used to be able to do so! What were the names of two KVOO newswriters? What was the name of the KOME morning news show? What were the names of the KTUL and KVOO Womens programs? What band did she record with? What local singer got her name from a dairy? Who was the main sponsor of the Tulsa Oiler baseball games that were announced by Mack Creager? What was the name of the announcer for the New York Philharmonic broadcasts? What were the two main sound board brands that were used at combo stations? What ET brand recorded from inside out rather than the traditional outside in and required special filtering? I'll send the answers later, if I can remember them. "Studio5 is located in the northwest corner of the 401 N. Michigan Ave. building, which is adjacent to the NBC Tower on Columbus Drive. NBC5 is the first television station in Chicago to broadcast live from a street-side studio. 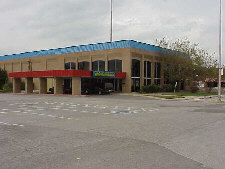 The space is leased from the Zeller Realty Group." Duh - what folks don't realize is that in front of nearby Tribune Tower and a few seconds walk away - WGN TV ran "Man on the Street" for 15minutes M-F nights in the 50's/early '60s' with legendary Jack Brickhouse interviewing folks either before or aften WGN's then 15min. early evening news. I think Maxwell House Coffee was his long time sponsor. It's funny that to have a studio on Michigan Bouilevard in Chicago - they rented space out of their owned building. WMAQ for years was in the Jos. P. Kennedy, Sr. estate-owned Merchandise Mart. Then in the '80's or '90's moved to their own building - a pretty hefty investment then. I think Jerry Springer and Jenny Jones were both shot there, too. Comments: Hi guys! Another radio question. There used to be a DJ in Tulsa (I'm thinking KRAV or somewhere close to that frequency) called Larry O-Jay. I know he was in Tulsa radio for several years, and may still be. He had a nightly sequence called "Feed Little Mikey" back in the late '70's-early '80's. (I believe that particular sequence ended when a few callers got a little bit out of line on the air). We have a DJ here in Memphis called Bobby O-Jay, with a very similar radio style. Same guy, maybe? Thanks! Comments: Merry Xmas and Happy Holidays to all! Comments: As an avid radio listener in Tulsa, I couldn't help but notice one of the best morning shows is off the air. 1430-The Buzz has cut both of their morning programs in response to budget cuts. As a listener I'm disappointed, but what disappoints me more is that it came during Christmas. Does anyone know why Clear Channel made the decision other than just money? I'm also curious as to what happened to Al Jerkens and Ryan Rahal's radio show. I heard it moved to AM 1550, a station I can barely pick up from my location. I was told Rahal left the show. Comments: Jim Forbes was an outstanding Troubleshooter at KJRH. Nowadays we enjoy listening to his Behind the Music narrations on VH1. Good work, Jim! Given the photos you attached, I'm certain we're talking about 2 different people, Mike. The John Ross I worked with was an outstanding young photographer @2 in the early 80's. Comments: My client - Anton Volskiy of NTV - saw little of OK, but Gen Stafford and wife's 2 little Russian visitors looked happy. Though the kids liked sausage (all kinds), fries, fruit and American pop for lunch. Gen. Stafford showed off his Russian, NASA and USAF memorabilia and spoke a little Russian, too. He has the "last man" bottle of booze from the Soyuz mission - everyone on the mission drank from it - but he is custodian of it. The Staffords have a lap pool which the kids enjoyed. The Gen. - though looking older than he did 20 years ago (duh)- still looks like he is in shape to fly. He's one of my Okie born heroes still! Comments: Just got a call from NTV Moscow - we are feeding a story at 10am on former astronaut & Oklahoma's very own Gen. Tom Stafford! He and his family are hosting some Russian children for Xmas - I guess in Oklahoma. As an American who learned to speak Russian for joint flights - he is well liked by the Russians. So I got my first Russian Xmas greeting of the day from the Moscow-based feed coordinator! He was also surprised that I am an ex-Okie. Comments: To All Tulsa TV Mems Surfers: I was coming back to Tulsey Town for the holidays but something mighty like a virus has taken up residence with me, so I'm here solo in Sacramento, trying to get back up to snuff. Hope y'all gotcher flu shots. I got mine, but this is a bug of a different kind, I reckon. I want to thank everyone who clicks by my reviews here at the super site and wish all a very Merry Christmas and Happy New Year. Oh yes, I didn't feel the quake out here, but the buildings were swayin', I hear, in SFO; ya know?, Shakey Town. 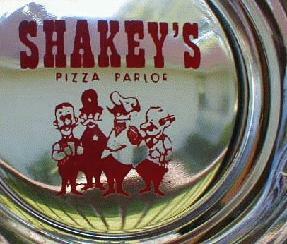 By the way, speaking of Shakey's, Sacramento is where that pizza parlor got its start. I remember the one that was out on East Admiral Place years ago in Tulsa. Comments: I think about the weekend editions of Up To The Minute from CBS news on KOTV tulsa, OK 9/1999-8/2003 (BANG!!! This is one of those bogus messages I was talking about. If you see more like this, ignore them...webmaster). Comments: Jim Forbes' post reminds me that it's been I think 5 years since Jerry Webber's death. Doesn't seem quite that long. Also, the mention of "KRMG-News On the Move" reminds me that when KVOO-AM was still in existence, they also used that slogan (along with "Traffic On the Move"). Comments: Just dropped by due to an off-hand eBay correspondence with a gentleman selling a BetaCam. His Tulsa connection was obvious by his screen name and he directed me to your site. Have been dabbling around for the past hour - and have loved seeing names from my past. I was a reporter and "The Troubleshooter" at KJRH from Memorial Day 1980 to Labor Day '81. Specialized on tensions and problems at "Big Mac" following my coverage of the New Mexico prison riot, while working in Farmington, NM previously. Also hosted "Studio2Live" after John (Erling?) of KRMG stopped. Worked with Anthony Mason (saw him in NYC last year) Roche Madden, Jerry Webber, Al Jerkens, Dean Lewis, Kristi Conrad, Mendes Napoli, Susan Silver, John Bateman, Duane Jones, Johnny Thomasson, John Ross and so many others. Left for Post-Newsweek station in Hartford (WFSB) in '81, and then to KCBS in LA in '85. Have been in LA since, working for many different nets. Guess I'm just saying hello and would love to hear from any former colleagues. I'm a native Bronx Boy - but absolutely loved Tulsa and my days there. He'll come into your home. Feels like pickin' a bone. He stands for us, 'cuz he stands alone. Tulsa Tribune "Call The Editor" item, circa 1980. Comments: My Herb Jepko post was a reminder when the Herb Jepko show was on the air... I was throwing the Tulsa World, American Airlines had just purchased the Boeing 747 and was flying them at that time, doing approaches to Tulsa International at 4:00 am. Later, I threw the Tulsa World and would listen to Herb Jepko on KSL/KVOO, on the Nite Caps show. I discussed with my dad (84 yrs old) tonight and he remembers some DJ by the name of "Vibrant Victor" days either on KRMG or KVOO (BC) Before Country. Hear that Herb Jepko Nitecap song here: Nitecaps.org. 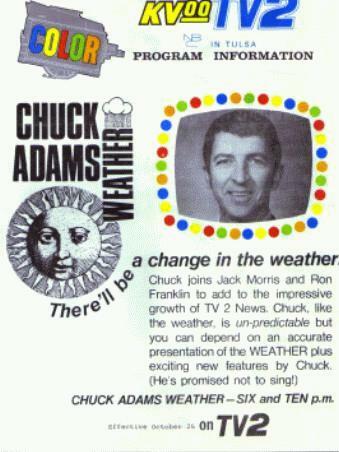 Comments: Not only did Chuck Adams do weather for KVOO-TV, but a few years later he hosted a movie show (along with Mother Adams) on KOTV. I was impressed too, that Chuck ran for a Tulsa City office (Street Commissioner, I think). Linda Cavanaugh is still a main co-anchor at KFOR. Patti Suarez left KWTV in the early 90's to anchor at the LA Fox affiliate. Last I heard, she was a stage actress in Phoenix. Comments: Found this KTOW jingle on an old reel. Thought you might like to add it to the collection. This was during their country days circa 1970-71. Comments: Though I never got to work with Karen Carney - all of my friends who did - fell in love with her. That good ole American apple-cheeked gal next door type, she is! I worked on PM Mag with Karen, then edited spots for her when she moved to Ackerman McQueen -- she's a real sweetheart. 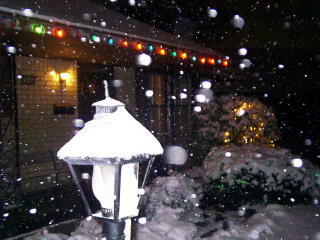 Comments: It is quiet in Tulsa and here is a picture outside of the Burch cottage to show you why - cold and lots of snow! I loved the Lee W. videos! Thanks for putting them on. Comments: Having not checked out TTM for awhile, I was perusing through Guestbook 151 and came across some stuff about Channel 2's numerous weather people. Wonder if anyone remembers that I was one of the many for a brief spell? I was going through a bored period at KRMG and signed on with the news team at KVOO-TV (soon to become KTEW) headed up by Jack Morris as anchor, Ron Franklin as our sports guy and I had the weather slot. It seemed a great move at the time, especially when management assured me this would be a great place to develop my sparkling personality (as I had in radio). It didn't quite work out that way, as I soon tired of my few minutes in the Six and Ten PM news blocks and doing the breaks in the Perry Mason reruns from 10:30-11:00. Program management cut the weather from its scheduled five or so minutes to no more than a minute or so. Upset by the limitations placed on me, I was pretty vocal about it. I remember Jack Morris discussing the situation with me, and telling me not to worry because as long as he was there I had a job. It wasn't too long after that that I was back in radio! Don't misunderstand, Jack and I remained good friends. But for anyone who is as naive as I was, if you hear "as long as I'm here", et cetera...better get your resume updated! Happy Holiday wishes to all. Comments: I don't know if you're the one to ask or not, no one here can remember. But, who hosted the old PM Magazine show on KFOR with Karen Carney?? I know Dino Lalli did for a while, but the guy I'm looking for was the first cohost. His name was Stan something. Finally took the time to catch one of the shows. I enjoyed it. Lot of imagination and creativity going on there. I could tell a lot of time, effort, and energy must go into those shows. I was particularly impressed with the posting of the show, i.e., video effects, etc. Overall production is obviously light years ahead of anything I did. Congratulations to all of those young men. While I was on vacation, someone put in a lot of bogus entries about KJRH; they are all deleted. Good stuff remains, though; take a look.